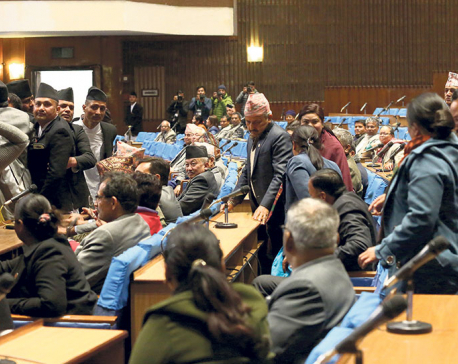 KATHMANDU, Jan 22: The federal parliament meeting has been adjourned for 1 pm Friday. “The federal parliament meeting which was twice postponed following protest by the main opposition Nepali Congress today could not take place due to special reason. The meeting has been adjourned for 1 pm Friday,” said a press note issued by the parliament. Speaker Krisha Bahadur Mahara had adjourned the meeting for 15 minutes after the NC lawmakers continued protesting over the issues related to Medical Education Bill that did not incorporate demands of agitating Dr Govinda KC and the names of the two hospitals after late Prime Ministers GP Koirala and Sushil Koirala. 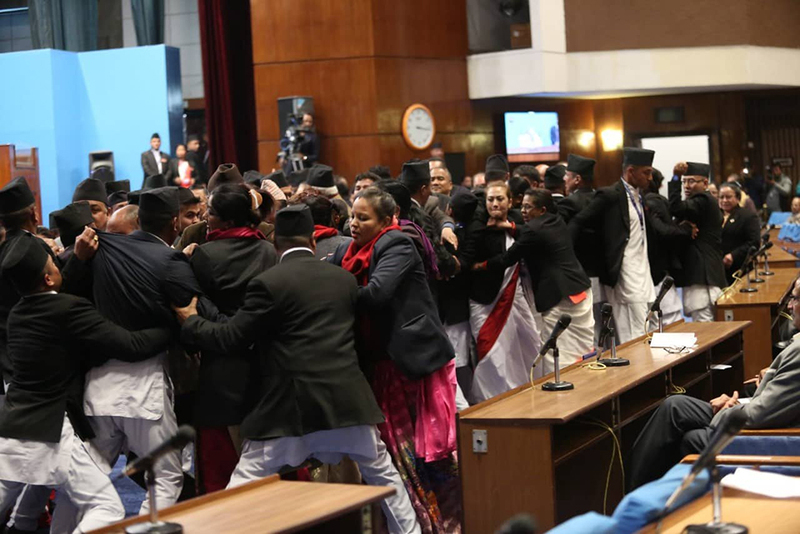 Earlier the parliament’s meeting had been halted for 15 minutes after Nepali Congress lawmakers demonstrated against the government’s decision to keep the two hospitals under the provincial government.